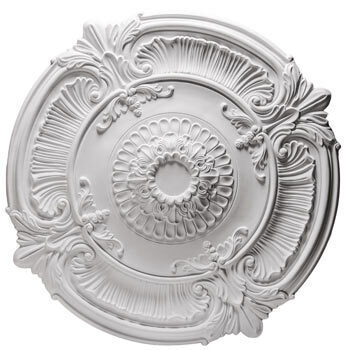 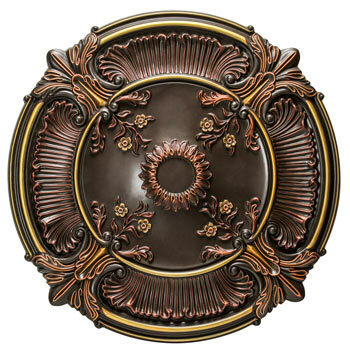 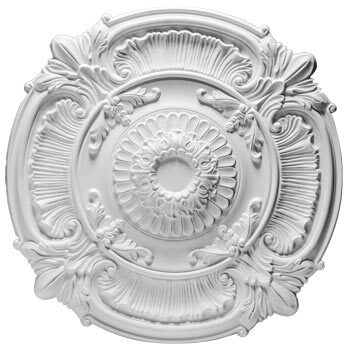 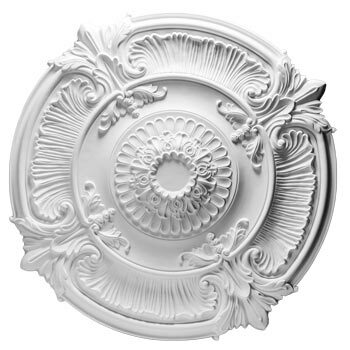 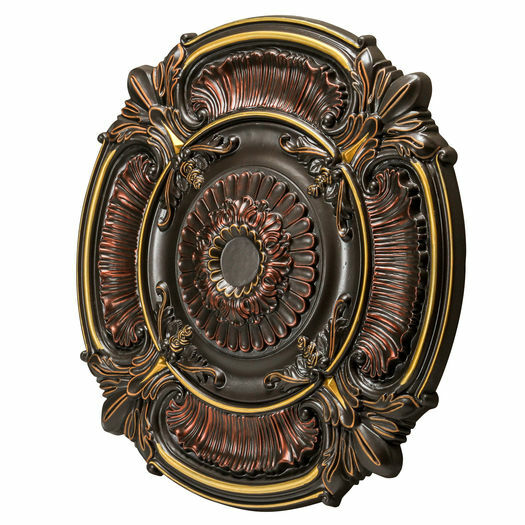 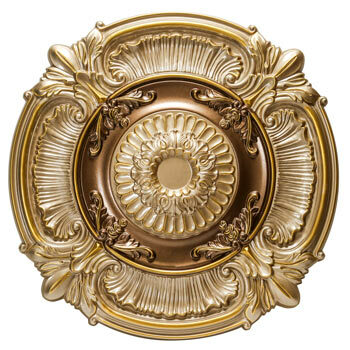 The MD-7294 Vienna Ceiling Medallion is 26-1/8" in diameter and has a depth of 2". Our Artisan series medallions are hand painted by professional artist in Kentucky. 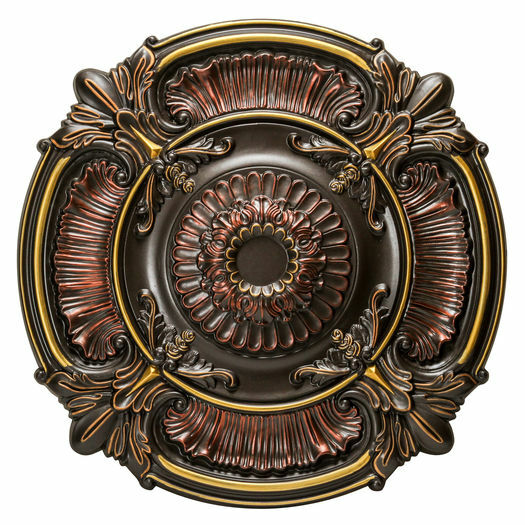 These one-of-a-kind finishes are expertly applied and the medallion is ready for installation. 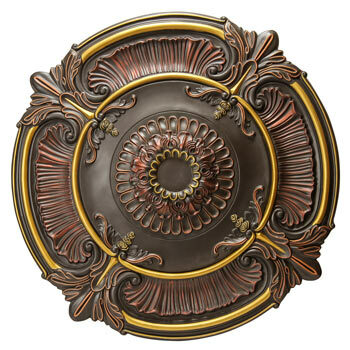 Because these are individually hand painted, the finish on each medallion may differ slightly.